Did you ever read ‘The Picture of Dorian Gray’ by Oscar Wilde? I recall the first time I ever read it, it was one of those books which makes a life-long impression. I find Dorian Gray walking around in my mind at the oddest times. Although considering he, being a rather odd character himself, shouldn’t really surprise me. 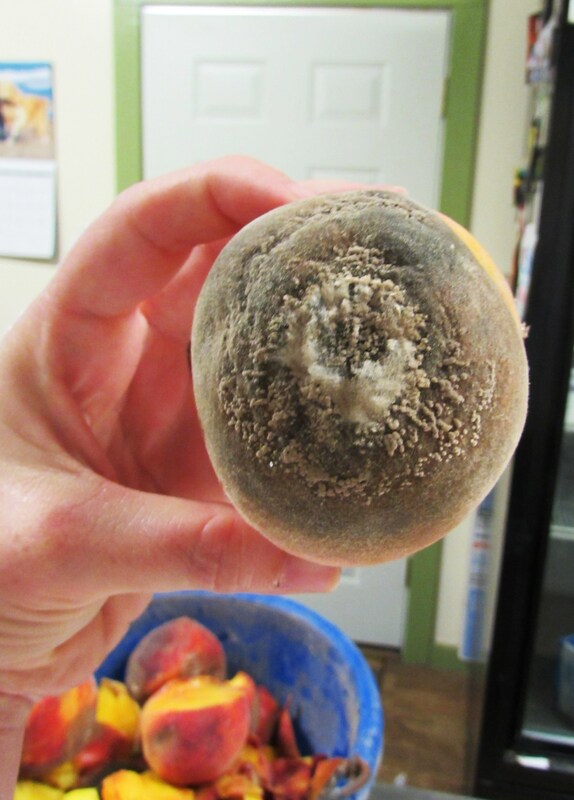 I had a ‘Dorian Gray’ moment if you will while making peach preserves recently. 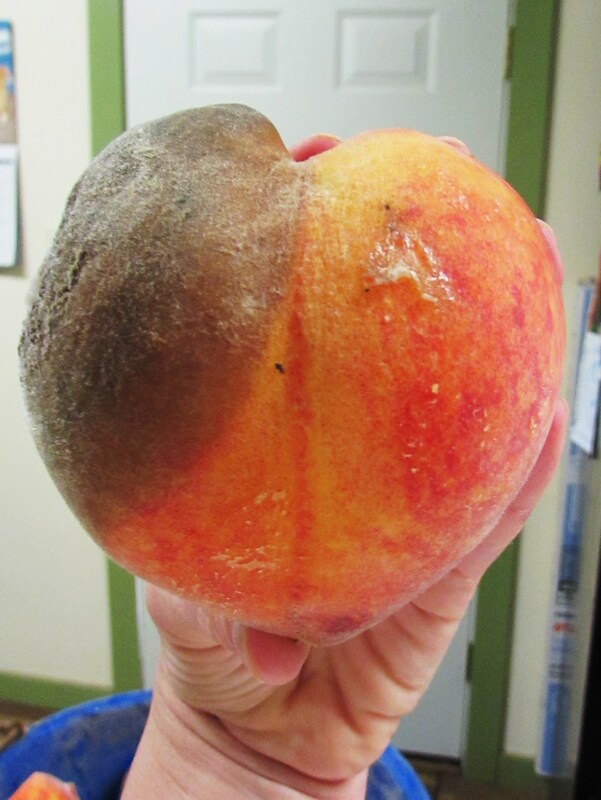 What appears on one side to be a beautiful, perfectly ripe, unblemished peach…..
Is, in fact, sporting a horrid yet fascinating growth and rot on the other side. 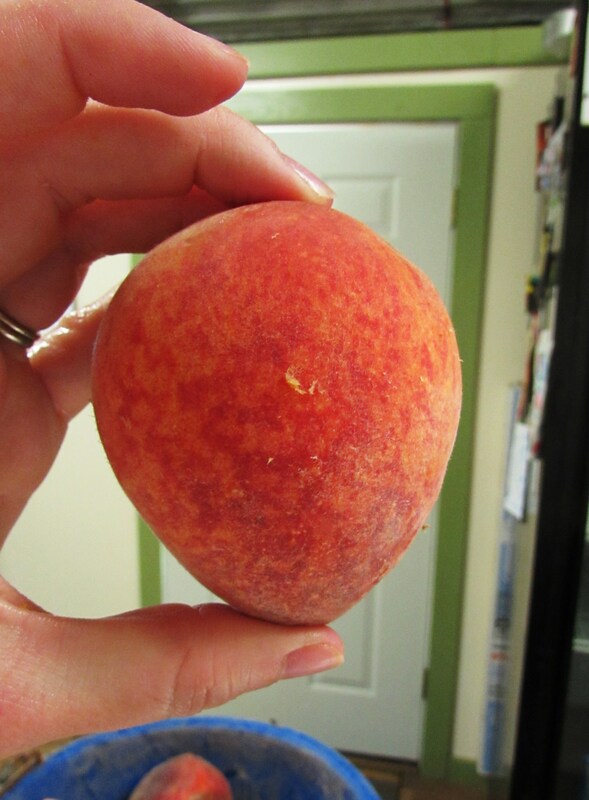 Two sides to every peach, two sides to every person. How like a person, to have a beautiful side to show the world and a hidden, fuzzy, grey, rotten side to nourish in secret. However, the danger lies in that we, like the peach, will eventually be overtaken by the rot if it is allowed to remain in our lives. Cutting it off will leave a smaller peach but a bigger and better person.